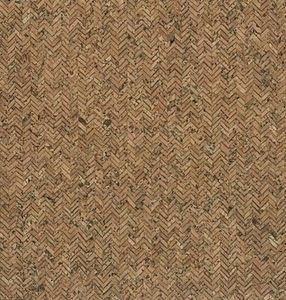 Natural Cork fabric in a traditional herringbone pattern. Environmentally and ecologically friendly. Similar handle to leather is waterproof and stain resistant. Approx measurement - 36in x 27in. Eversewn VL986R101 Distressed Flower Natural Cork Fabric 1 Yard x 27"